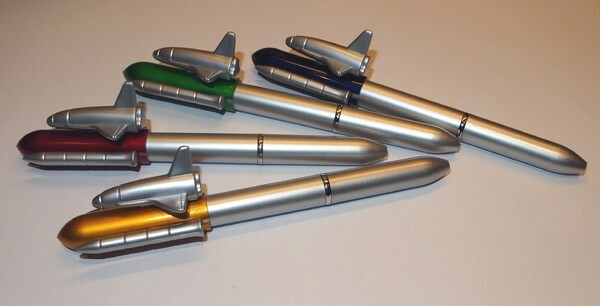 Space Shuttle Ballpen - spacekids - space toys, dressing up costumes, kids spacesuits, astronaut food, cool space stuff! 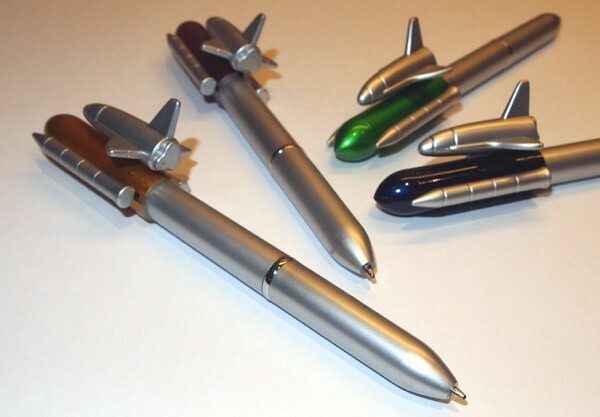 A fun ball-pen featuring a Space Shuttle design. Booster rockets act as pushbutton to retract the writing tip. Colours may vary.